Funding for the Charles “Buddy” Rogers Scholarship was provided to KU Theatre by the Mary Pickford Foundation in 1987. Charles 'Buddy' Rogers grew up in Olathe, Kansas, graduated from the University of Kansas, and moved to Hollywood where he started appearing in silent films by the mid-1920s. He was in two big hits right away: Fascinating Youth (1926), his first film, and Wings (1927), co-starring Clara Bow. Wings was the first feature film to win an Academy Award for Best Picture. 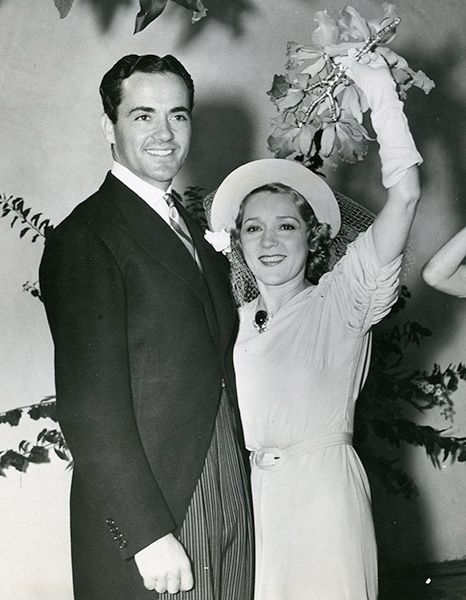 In 1927 Buddy met film star Mary Pickford and they were married in 1937. Their marriage lasted for forty-two years, one of the longest in Hollywood history to that point. The fund is used to provide scholarships to needy, worthy students who are citizens of the USA and not on an athletic scholarship. The additional criteria will be that they have demonstrated scholarly capabilities as well as creative capabilities that will equip them for work in theatre and/or film.